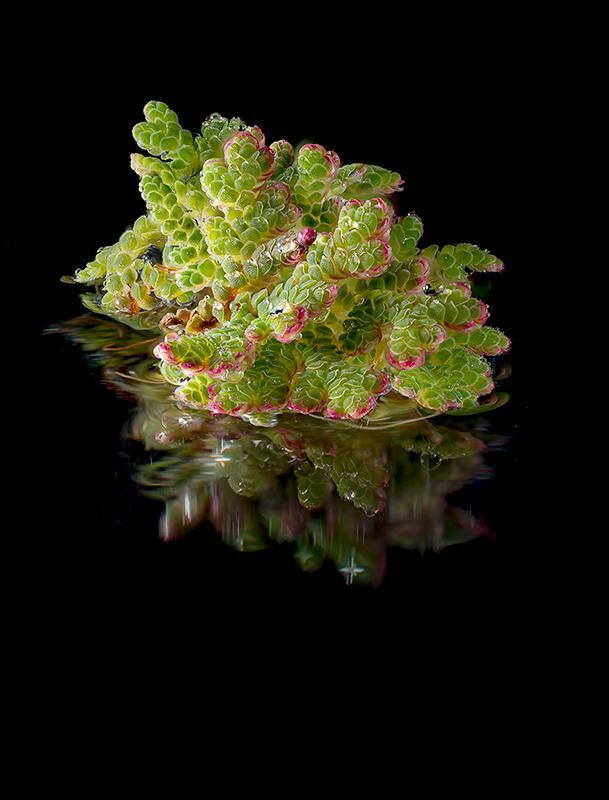 On July 17, 2014, the world decided it wanted to learn the genomic secrets hidden in the beautiful little, floating water fern, Azolla filiculoides. Not only did they want to know, but they paid for it too – a whopping $22,160 from 123 backers – through a crowdfunding site called Experiment.com. Four years later, they have what they paid for, and more! The project was backed at 147% of the budgeted goal, which allowed the researchers to sequence and analyze the first fern genome ever. With the extra funds, they could sequence a second fern, Salvinia cucullata. Their results appear this month in the journal Nature Plants. First author, Fay-Wei Li, is a professor at the Boyce Thompson Institute in Ithaca, NY, but began his quest for the Azolla genome as a graduate student researcher at Duke University in Durham, NC. His PhD advisor was Kathleen Pryer, a professor at Duke and last author on the paper. Pryer had been trying to get the project funded for nearly two decades. "I was met with responses like 'too unconventional' and 'not important enough'," she said. Together, Pryer and Li led an online campaign, which you can read more about here, to garner support for the project. Eventually, their fundraising efforts caught the attention of the Beijing Genomics Institute (BGI) in Shenzhen, China, who offered to provide all their sequencing needs free of charge. With this additional support, and a collaboration forged with Henriette Schlupmann at Utrecht University, they embarked on a four-year journey to explore the unknown fern genome space. So what's so special about a little fern anyway? "Azolla has a really cool biology and evolutionary history," said Li. "Azolla engages in symbiosis with cyanobacteria for nitrogen fixation, and for this reason it has been used as a green manure for rice paddies in Asia for hundreds of years." The researchers found that Azolla lacks the genes necessary for the more widespread arbuscular mycorrhizal and root-nodule symbioses, which the water ferns do not establish. Instead, the ferns contain several genes specific to their interaction with Nostoc, the cyanobiont, whose genome had been sequenced previously. "Now that we have genomes available for both the fern and cyanobacterium, there is great promise for tapping into the secrets of this natural biofertilizer that may help lead to future sustainable agricultural practices," said Pryer. One especially exciting discovery for the research team was the origin of an important insecticidal gene in ferns, which had been recently isolated and transferred to cotton plants where it provides remarkable protection against insect pests. "When you walk into a forest, it's usually very striking to find that ferns show little to no sign of insect damage," said Li. The team found that the insecticidal gene is specific to the fern lineage, explaining why most other plants lack such resistance. Furthermore, they discovered that the gene likely first appeared in a fern genome through horizontal gene transfer from a bacterium. "In other words, the ferns' ability to fend off insect herbivores is likely due to a 'genetic gift' from bacteria," said Li. With the first two complete fern genomes at their fingertips, the researchers have answered many questions, but have uncovered even more mysteries to investigate. And what better way to unlock secrets than to keep sequencing genomes? "We are going fernatic to sequence more ferntastic genomes!" said Li. "As part of the 10K Plant Genomes Project collaboration we are working with BGI to strategically sample the fern tree of life for genome sequencing. Currently we have about 10 fern species in the sequencing pipeline." With just a little public "kickstart," they've gone from 0 to 10 in four years. "Knowing that my small financial contribution was able to add to the fund of human knowledge astounds me," said Lydia Marcell, a fiction writer who supported the project through Experiment.com. "Understanding these genes could provide solutions for some of the enormous problems facing our planet today, I'm thrilled to have been a part of that." "The endorsement and confirmation by the public and the media that our project was of significance was a fantastic outreach and learning experience for us," said Pryer. "It is very reaffirming to find out first-hand that people do care about pure science!" The genomes of both Azolla filiculoides and Salvinia cucullata are available online at http://www.fernbase.org, developed by BTI postdoctoral researcher, Prashant Hosmani and professor, Lukas Mueller. Alexa M. Schmitz is the Science Editorial Associate for Boyce Thompson Institute. Media Relations Contact:Alexa M. Schmitz ([email protected]) or Keith Hannon ([email protected]). To learn more about Boyce Thompson Institute (BTI) research, visit the BTI website. Connect online with BTI at Facebook and Twitter. Boyce Thompson Institute is a premier life sciences research institution located in Ithaca, New York on the Cornell University campus. BTI scientists conduct investigations into fundamental plant and life sciences research with the goals of increasing food security, improving environmental sustainability in agriculture and making basic discoveries that will enhance human health. Throughout this work, BTI is committed to inspiring and educating students and to providing advanced training for the next generation of scientists. For more information, visit btiscience.org.